Have you heard about the latest book from My Stars? So many talented quilters and wonderful designs in Optical Illusions! 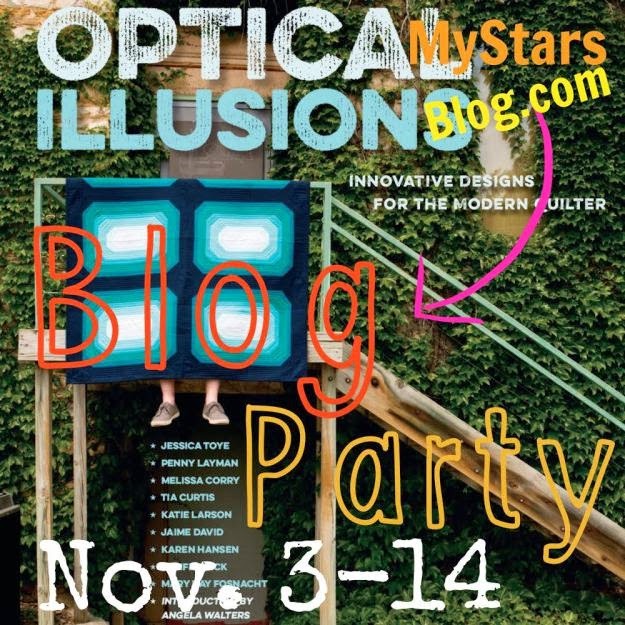 Join us for the blog party, it starts today! There are lots of great prizes too. See you back here in a week or so! I hope one of you wins something cool!